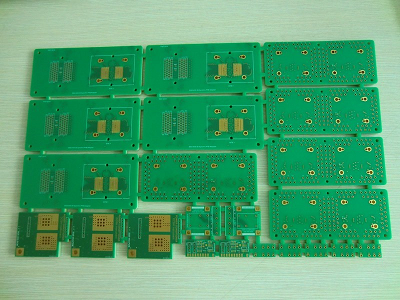 Yes, we produced all kinds of FR4 PCB in one panel and also combine two kinds FR4 PCB together with SMT so far. How to arrange the shipment by Sea or Air? Normally, we send the goods to customers by Express. But it’s only for a small quantity and light weight. If mass production, the quantity always big and with heavy weight. if still by Express, the shipping fee would be very high. It’s no economy.So we will choose to ship out by Sea or By air. packed all the goods and making PL & CI. Booking the shipping space, get the S/O, arrange the truck to pick up the goods and delievery to relatively port or airport. Prepare the export customs files and do the customs clearance, files include declaration form, PL, CI,contract, Proxy and others customs needed. Goods boarded the plane or sea, get the B/L, making import clearance files, including C/O,FA,FB,FE etc. Provide this files to consignees or their agent. Consignees or their agent do the import clearance, pay the import fee, then to get the goods. It is need about 4-7days to completely the process by air, 8-35 days by sea, depend on the Place of Delivery. As PCB manufacturer we can provide turnkey and door to door service, meanwhile we also can help you if you have any shipping questions. Why the DCB ceramic PCB surface easy yellow during the production? 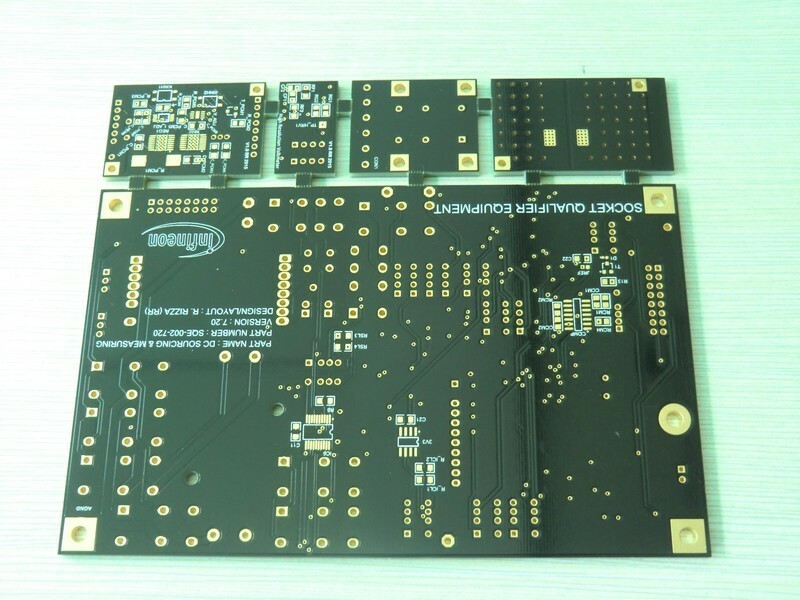 We always see the yellow surface in the DCB ceramic PCB surface although it does not affect the function, but looks unbeautiful. In order to strongly combine the copper with ceramic substrate, especially when the copper is little, the exposed more substrate we need to do a special sinters process under appropriate high temperature, so it caused. It’s unavoidable, we need to check and choose the better to ship out. What will cause the solder mask layer blister and fall off? Some customers may get PCB that includes blister on the solder mask layer, even the solder mask layer fall off. 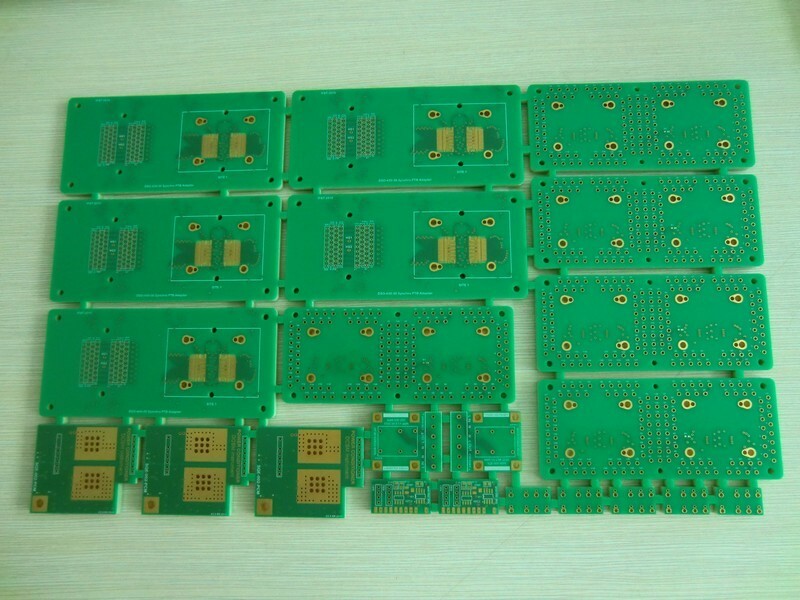 As PCB manufacturer, we will let you know what cause it and how to prevent on PCB manufacturing process. Please read the following information but don’t hesitate to contact us if you need more help. The surface of copper is not clean and oxidation in previous processing. It need to strength the surface finishing of the boards and ensure to dry off the boards in previous processing. The film was underexposed. It need to determinate and adjust the exposure energy of the boards. The insufficient curing. It need to to check the heat uniformity of the dryer oven and control the curing temperature and time of boards. Improper proportion of boards’ink. Pay more attention to the ink’s proportion when mixed. 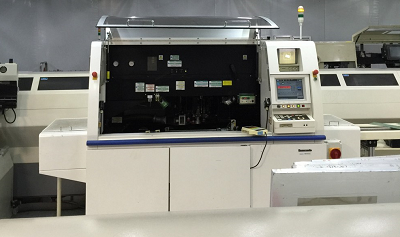 We have installed a new high-speed (30,000 point/hour) SMT line which increase our production capability and more important, we imported new SMT machine with Panasonic, it’ll short the lead time of SMT. By adding this new machine, we hope to provide you faster lead time of board SMT. 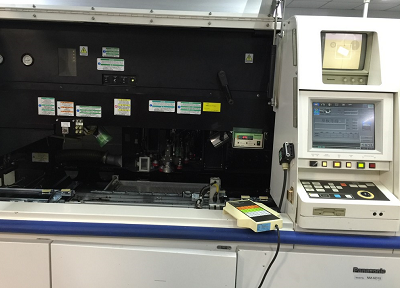 You can click for other equipments we used for PCB manufacturing and PCB test, but we are always here for you if you need more information. 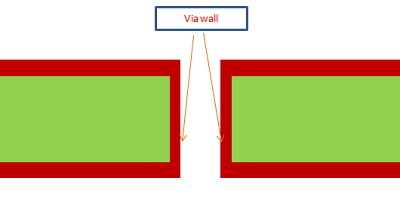 What is via wall for PCB? Via hole wall thickness is determined by the plating normally 1/2 OZ or 1 OZ is used based on your design application. Power boards will go for more Ounces. For power signal via – it’s important to consider the current, temperature rise in PCB, plating, PCB material used. According to IPC-6012, the standard via hole wall thickness is 15-18um. But Best Tech can make via wall with 40um. If the hole copper thin, resistance, and wide current, fever, high temperature, especially in SMT and wave soldering) base material resin (high expansion coefficient) is prone to mechanical stress of hole copper, and the thermal stress, pore copper prone to mechanical fatigue, hole wall with micro cracks. There may be holes separation of copper and the inner pad. It is a 2 layers stack up including via holes, and you can find the via wall details. BTW, there are via wall just when we do Plated Through Hole to connect Top layer and bottom layer. Why the thickness of 3W/m.K finished metal core PCB is thicker than 2w/m.k and 1w/m.k? As is known to all, dielectric layer is the most important part of MCPCB,which like prepreg on FR4 PCB. Thermal conductivity is decided by dielectric layer, so the thermal conductivity more higher,the thickness of dielectric layer more thicker. For 1w/m.k, the dielectric layer thickness is around 75-100um. For 2w/m.k, the dielectric layer thickness is around 100-125um. For 3w/m.k, the dielectric layer thickness is around 100-200um. So, when we use the same raw material to produce metal core PCB, thickness of 3W/m.K finished metal core PCB is a little thicker than 2w/m.k and 1w/m.k. What’s the characteristics of the halogen free meterial? 1.Because of using P or N to replace halogen atoms to reduce the polarity molecular bonds of epoxy resin, thus improve the quality and the insulation resistance of the wear ability. 2.with the probability of the water hydrogen atoms to form hydrogen bonds than halogen material, so the absorbent material is lower than conventional halogen flame retarding material. For material, low water absorbability to improve the reliability and stability of the material has a certain impact. 3.Halogen-free material is greater than the content of nitrogen and phosphorus in ordinary phosphorus-containing material halogen content, molecular weight and its monomer as well as Tg values are increased. In the case of heat, its molecular motor ability will be lower than the conventional epoxy resin, thus the halogen free material thermal expansion coefficient is relatively small. If you wound like to know about environmentally friendly on PCB or want to order ROHS PCB, please feel free to contact us and we can manufacture ROHS PCB for you or do our best to help you get more information. PP (prepreg) is a kind of base materials of Printed Circuits Board. It is an un-curable resin with non-conductive, which using for connecting the inner layer and offer the insulation. Following is a 4 layers PCB stackup which including two pieces of 0.07 mm 1080 pp, there the 1080 pp is to connect top layer with 2 layer,and connect bottom layer with 3 layer, meanwhile pp is non-conductive. It consists of glass fiber and resin. The resin is un-curable status, called- B-Stage. PP is for FE4 PCB, so if you wound like to know more about other PCB, for example Ceramic PCB, MCPCB, meanwhile don’t hesitation to contact us if any question. You are currently browsing the PCB & MCPCB - Best Technology blog archives for April, 2016.